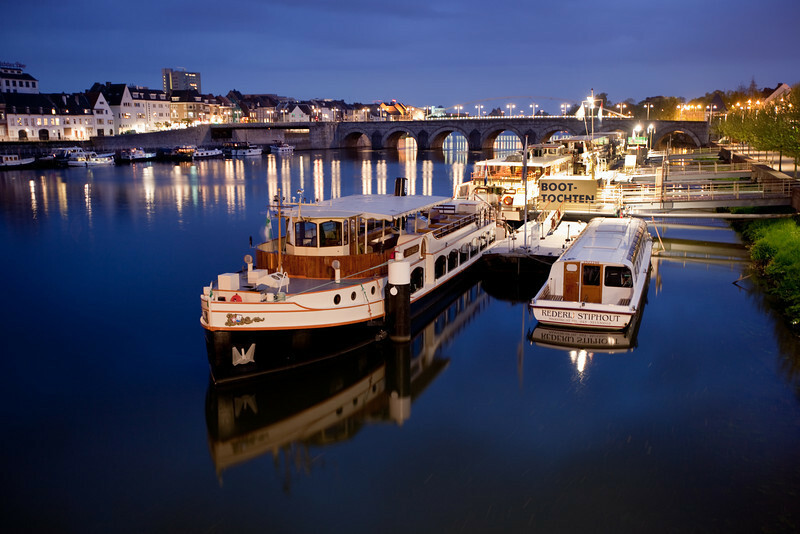 Maastricht is one of the oldest cities in The Netherlands. A few years ago, I had the opportunity to briefly walk around the Maas River. It was almost dark and the sky was deep blue. It was raining a little, but I managed to get some great shots.